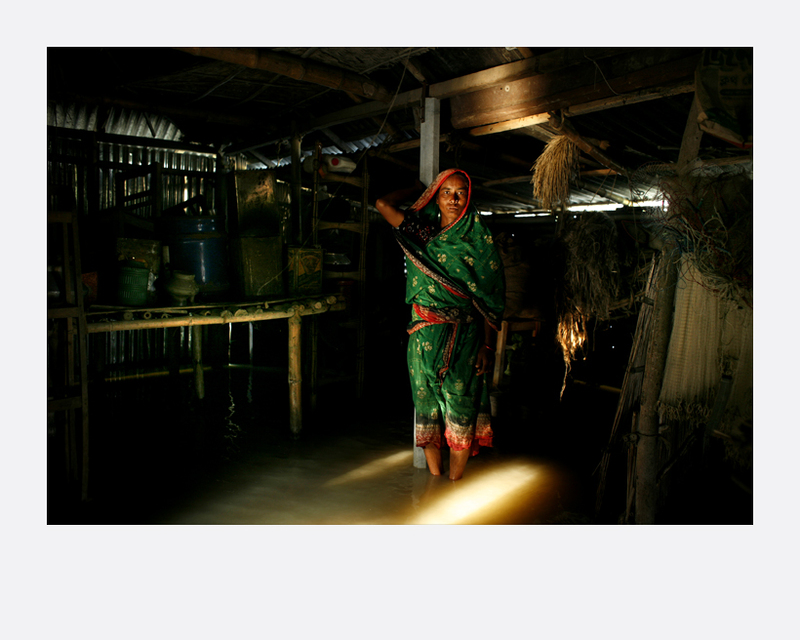 In his series, Abdullah shows the effects of climate change in the coastal population of Bangladesh. Bangladesh is situated in the low-lying Ganges Delta, Brahmaputra and Meghna rivers and most of it is less than 10 meters above sea level. 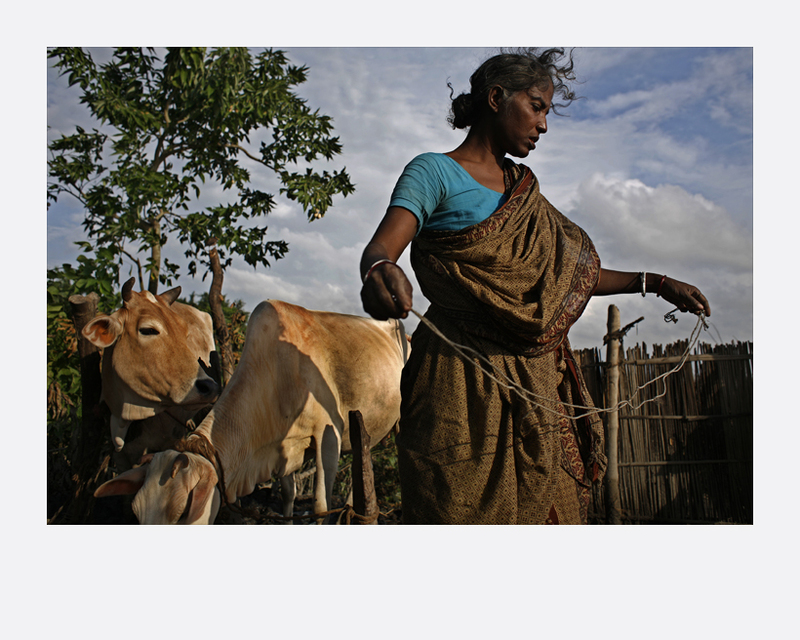 It is a country swamped by annual floods, with a coast battered by cyclones, tornadoes, and droughts. Major floods have caused victims to migrate and move to the city. 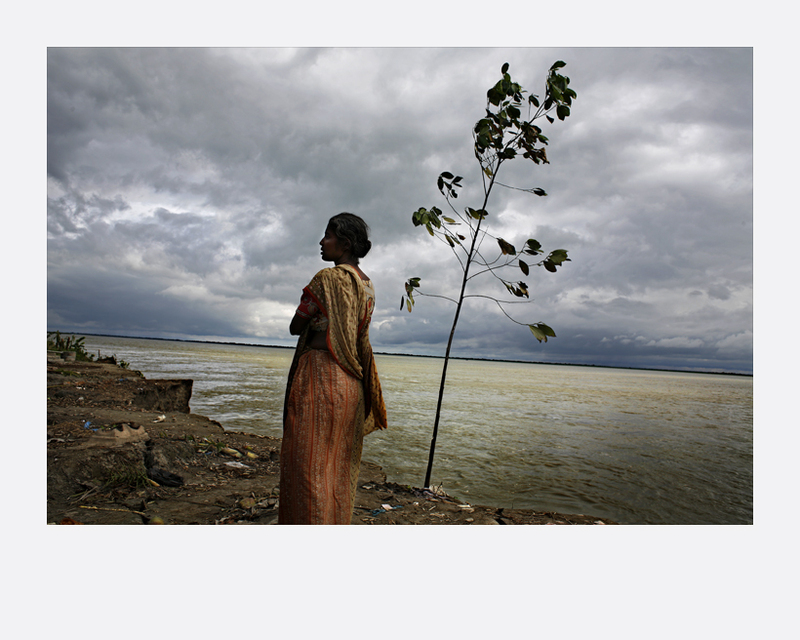 As climate change seems to grow in intensity, Bangladesh anticipates a worse situation of climate refugees. 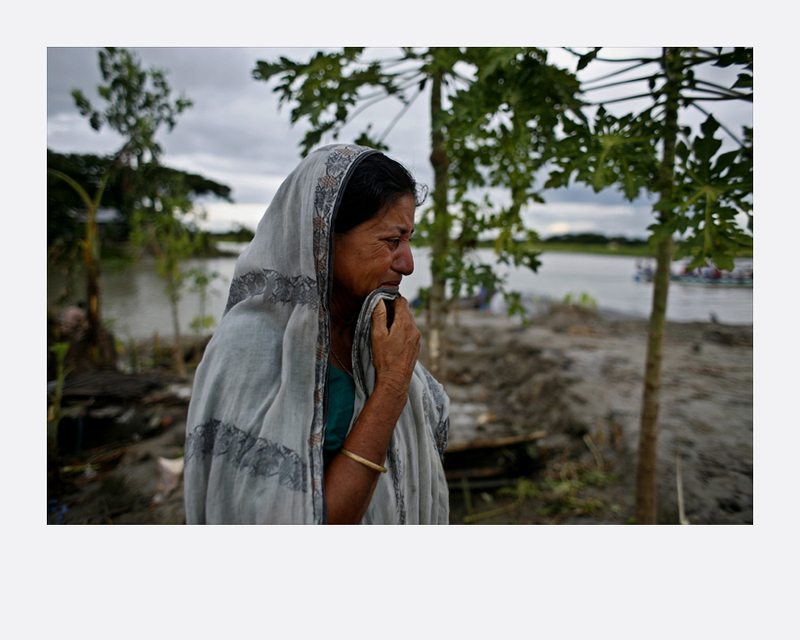 Local sea levels in Bangladesh appear to be rising, summer tempera- tures soaring, floods more extreme and unpredictable, crops destroyed, and livestock lost. People in some coastal areas have already switched from rice crops to farming prawns as their paddies turned too salty. A country where many people have never driven a car, run an air-conditioner, or done much at all to increase carbon emissions, Bangladesh could end up fighting climate change on the front line. Abir Abdullah graduated from Dhaka University with a Masters in Marketing. He is currently working as a Bangladesh correspondent in a European press photo agency based in Germany. Specialising in portraits and documentary photography, his photos have appeared in publications across Asia, Europe and the USA.